Welcome to another edition of Connect The Chords! 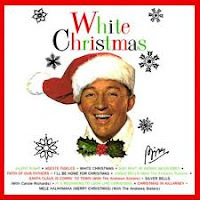 In this episode we’ll break down Irving Berlin’s 1942 classic White Christmas. The great thing about White Christmas is you can start out playing it with just three chords. To I hear IV sleigh I bells IV in the V7 snow. And may I all your IV Christmas-V7-es be I white. Now let’s spice the arrangement up by adding in some other chords. To sweeten the song, let’s use the ii minor (D minor). Since D minor is the relative minor of F Major we can use it as a substitute it for F.
To I hear IV sleigh I bells ii in the V7 snow. And may I all your ii Christmas-V7-es be I white. Now let’s add the I7 and iv minor chords to the arrangement. Finally, let’s add in a few other chords not found in the in theCMajor Scale,B Major (VII),F#7 (#IV7),andG Diminished (Vdim). The reason for adding these other chords is to help flesh out the melody in the song and create interest. And may I all Vdim your ii Christmas-V7-es be I white. Look how quickly we ramped up from a three-chord song to a nine-chord song! Here is a finger-picking arrangement using most, if not all of these chords. Happy holidays! Thanks so much for this really interesting lesson, Jim. Had you started with all 9 chords, I probably would have passed this by. Now, my uke and I are ready for the holiday!